Fond of convenience food? Sure its handy and how bad can it really be if its on shop shelves across the country, the world even? Boucher-Hayes and his wife, producer and journalist, Suzanne Campbell teamed up with chef Hilary O'Hagan to find out what's really in our most popular foods from meat to...bagged salads. 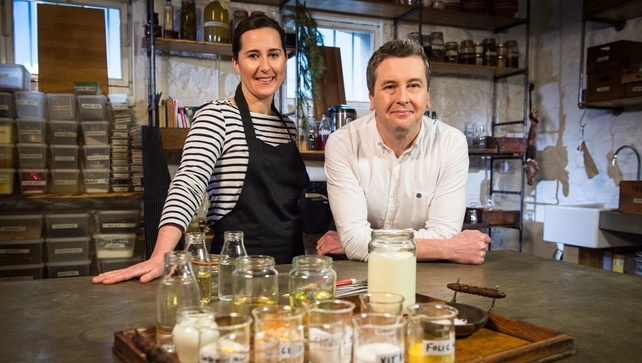 Boucher-Hayes and Campbell have worked together on a number of successful RTÉ TV programmes lifting the lid of what we, as a nation are consuming. For many weekly purchases, such as processed ham, were seen in a whole new light as they informed us about what was actually in some family favourites. 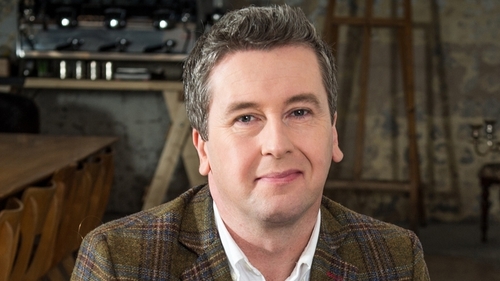 This time around Philip 'volunteered' to put his money where his mouth is, literally, all in the line of research for the new RTÉ One series, What Are You Eating?, which is on at 8.30pm on Wednesday March 22. You have made a major commitment to your new TV programme, What Are You Eating? Tell us more. You mean going on the Paleo diet? I made no commitment. The producers of the programme, one of whom is my wife Suzanne Campbell, decided it would be great craic to film me going through the misery of a diet that involves no spuds, tea, butter, milk, bread, pasta or alcohol. It is a very anti-Irish diet almost to the point of being racist. But I did it for a month and the results were surprising, in fact some of them were alarming. Apparently a surprising percentage of us are continually on some form of diet, fad or otherwise: What have you uncovered in your research? Frankly in my book any diet that you can't see yourself sticking to for the rest of your life is a fad. The figures are well established - 60% of the diets-of-the-moment ends in people falling off the wagon and putting on more weight. This is not to say that they are not useful for some people. The Paleo diet certainly made me think about what I was eating, and what I should eat less of. And it also put me back in touch with the idea that it is alright to feel hungry from time to time. We are far too used to just eating long before the first hunger pang kicks in. Why should people watch What Are You Eating? I hate, I mean really hate, programmes that tell people what they should and shouldn't do. That kind of nagging we-know-best kind of show. What I wanted to do with What Are You Eating? is to give people information. Let them see with their own eyes what is going on behind the food labels. The rest is up to you. For the viewer the programme can be a mildly diverting half hour's entertainment of a Wednesday evening, or it can be the start of an important journey. What we are actually doing is arming you with information that certain sectors of the food industry would probably rather that you didn't have. It’s a kind of a cookery programme in a laboratory. We take really popular but highly processed foods, like chicken fillet rolls, and show you each and every single chemical that is added and all the highly industrialised processes the food is put through. What you do with that information is entirely up to you. What has shocked/surprised you most in your findings? In one programme we analyse the bacteria in my poo. That was pretty shocking for everybody involved. Me especially, apparently I'm part fish. We are constantly being bombarded with stats on how we are heading for the top of the obesity charts, so how does that balance with our obsession with fad diets? Aren't we all looking for silver bullet solutions? In the main they don't work over the long term, but there are always a few exceptions who will be pinned up as role models by an industry trying to drum up new business. It's madness though, like believing the whole country will get rich if we all do the Lotto every week. We diet in the main because we want to be skinnier. That's like dressing because we want to wear labels. It misses the main point of the exercise - not being naked or cold. We should eat because good things taste nice and keep you healthier in to old age. Besides which a diet ripped out of the back page of a magazine is a bit of a one size fits all solution. We are unbelievably complex pieces of machinery. No two the same. Why would you flourish on a diet that works for a septuagenarian Japanese fisherman? Balanced diet - what does it mean and why are our children not receiving more nutritional education in school? Generally I'm not given to megalomania but I have one recurring ‘If I ruled the world’ type thought. I'd make Home Economics a core subject of the Junior Certificate. Mandatory. Rather than GP's educating us after it’s probably too late, wouldn't it be amazing if we sidestepped the health issues in the first place. In the past, you have spoken of the benefits of going back to basics - the soil, farming, etc - is that easier said than done for families where both parents have to work to keep that same food on the table? Everything in moderation, including moderation. There's no point trying to live like monks on Skellig Michael in the 8th century. Stick a frozen pizza in the oven when you need to put food on the table quickly. But take a little bit more time when you have it. What are the three biggest Irish mistakes food/fad wise and how can we rectify this? Don't listen to the self serving advice of somebody selling a lifestyle, a book, a diet or...ahem, a TV programme. Most of them are talking pure nutri-babble. You will find if you stop and think about it for just two minutes you know most of what you need to know already i.e. granny's wisdom. Make a shopping list. It sounds like the most boring thing in the world. But if you've made up your mind about what you need to buy before you go shopping you are less likely to be swayed by all those things you don't need but supermarkets are dying to sell you. How do you manage to juggle a full time job reporting for Drivetime, co-presenting CrimeCall, and family life with young children with Factual programme making? Suzanne [Cambell, Philip's wife, as above] is as always the brains of the operation, I'm just the...em... pretty face on the front of the packaging. This series was particularly hard on all of us because the flippin’ General Election was called in the middle of filming. When I wasn't bouncing around the country from constituency to constituency I was chasing free range chicken around a field in Galway. But hey, it's not as if this job is actual work. Particularly not when you have a brilliant Series Producer like Yvonne Nolan driving it and a production company like Shinawil pushing all the bits together. 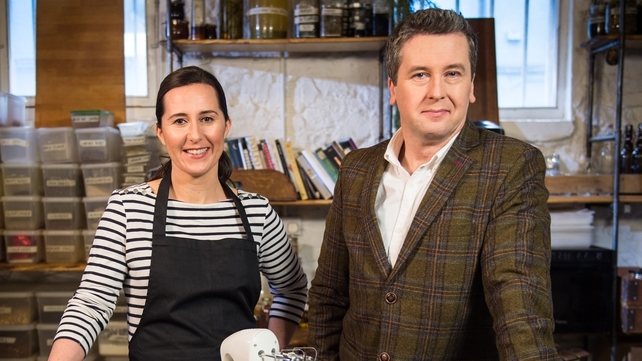 The new series, What Are You Eating?, is on RTÉ One at 8.30pm on Wednesday March 23, 2016 for six weeks. Click here to access the RTÉ Player.